Here’s another amazing time lapse video which is certain to enchant your senses and entertain equally enough, in which the Beep Show has documented its San Francisco to Paris flight by shooting a photo every 2 miles (clicky clicky every 15 seconds?). 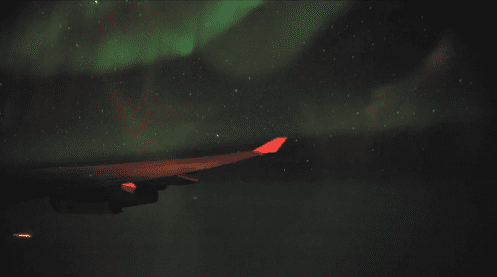 The photos were then put together masterfully, resulting in a lovely time lapse view over the American continent, the Pacific ocean and even … wait for it… Aurora Borealis! Yeah, now you gotta check this thing out.